After a good night sleep with thunders and rain, the morning was clear of rain but the sky had overcast. Without much delay, we put all our stuff in the car and head out of the resort for Kaziranga. The best thing about the resort for us its proximity to the highway. We drive on the straight highway going east. The road was divided four lanes and there was not much traffic and was cruising around 100KM/Hr. We crossed Pobitora wildlife sanctuary just outside Guwahati. We even kept a half day back up to visit Pobitora if we do not get to see much in Kaziranga. We were getting hungry as last night the dinner was quite early and did not even had tea/coffee before leaving the resort. As we look out for a decent place to stop for breakfast we reached Anuraag Dhaba near Nagaon bypass. We ordered two plates of breakfast. The dish was served in an authentic Bronze plate with lots of different vegetables. The staffs were wearing traditional Assamese Mekhela Chadar. We were quite impressed with the food and service. The food was served in a very satisfactory manner and the taste was splendid. Overall, we really had a "something special" kind of experience. Please do not keep your hope too high after all it is a simple place to eat on a highway, but would recommend it for sure. Now, as soon as we crossed Nagaon the road condition deteriorated. There was work going on to make four lanes which we are back to 2 lanes road and have to navigate traffic with caution. As we left GHY early we had plenty of time in our hand for the afternoon safari which we had planned. Now we had to cross the Western and Central Zone gate of Kaziranga before reaching our destination “Wild Grass”. As we approach the turn to be taken as suggested by Google map I find a small road going inside from the highway. I did not take that road as there was no sign or anything for Wild Grass. After going 100 meters or so I ask someone local and he points back to the same road. So reluctantly I took the road which is a narrow road with stones and you see bamboo houses, some small plantation and drive like that for a 1KM. We continue and at last, there is a sign for “Wild Grass” a small one on the fork. But as we approach the property we just get mesmerized. It is an old colonial style big bungalow. We were greeted by a warm welcome and were told we have good 2/3 hours before the safari so we can just linger around have lunch and then head out for afternoon safari. This place is unique and the owner is the best. He was instrumental in planning this trip. He shared so many details about Kaziranga that no guidebook could have covered it better. Soon we started for our first safari to the West Zone, in fact, we have crossed this gate while coming from Guwahati. It is almost 20/25 minutes drive Wild Grass. Once we reached the gate we had to buy tickets and pay the camera fee and all. We were fortunate enough to spot the one-horned rhino. We spotted elephants and spotted deers. There were many birds but as a beginner, we were not very well versed with the same. We saw an Indian Roller from a close distance. 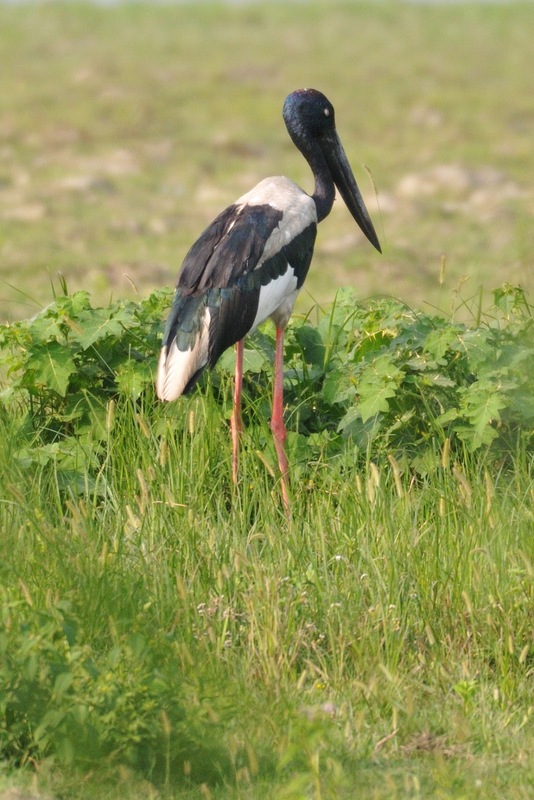 Spotted Pallas Fish Eagle, Lesser Adjutant, Ruddy Shelduck, Pied Kingfisher, and others. 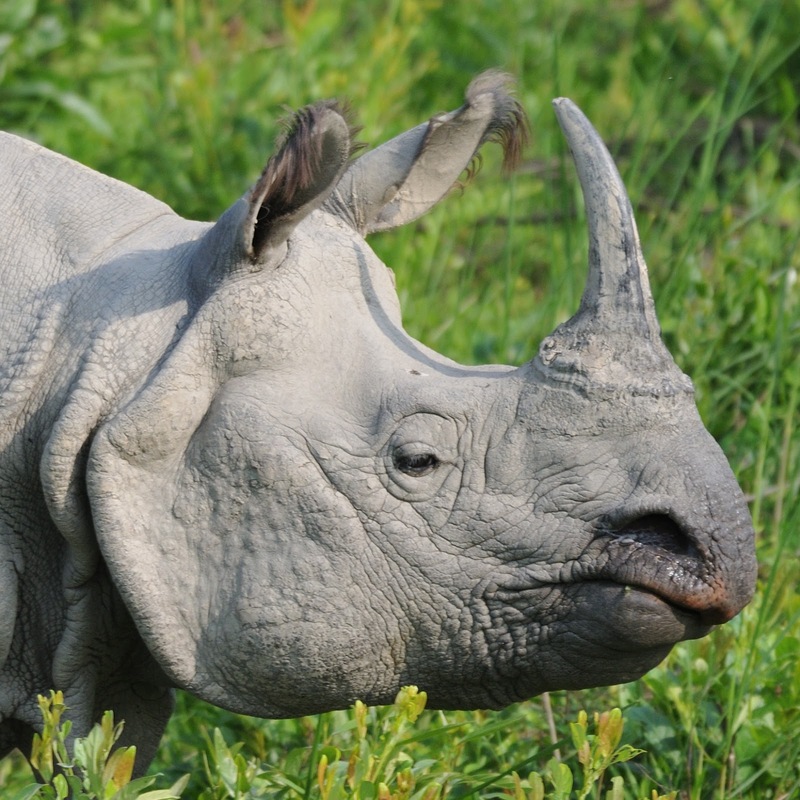 Kaziranga has very tall grass so animal sighting is mainly near the edge of wetlands and in short grass areas. Technically Swamp Deer is more endangered than the Asian one-horned rhino as far as the world population is concerned. We headed back to the resort as the sun sets in the east, the hotel had warm snacks and tea. And once again the dinner was fabulous. We felt like we accomplished all we had to do in Kaziranga ;) but honestly, as I write this post after so many months I find myself reliving each moment once again and wish we could have stayed there for long. 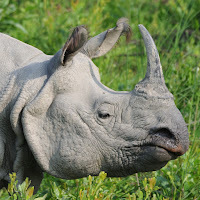 DescriptionKaziranga has very tall grass so animal sighting is mainly near the edge of wetlands and in short grass areas. As usual, the sun went up early as we are the Eastern part of India, so after a good breakfast and settling our bills we left towards Cherrpunjee. The sky was cloudy but not raining. The 16KM drive is a long one from the resort we stayed and the road of last 8 KM was really bad. We started with Thangkharang Park which looked farthest on the map. The road was good for the most part but again the last 4/5 KM was under heavy construction. Our legs were heavy from yesterday’s hike still we walked around the whole park. We got to see Kynrem falls from there. And Bangladesh plain was in plain sight. The water was not so heavy in Kynrem falls as we were just before the monsoon. I am sure in monsoon the sight will be completely different with roaring water rushing down the hill. The waterfall is made of three or four stages as you can see from the picture. We could see one or two cars on the winding road and there were a few tourists we went to the base of the falls. From the park, we headed towards Pillar Rock/Khoh Ramhah but there was no other soul out there. There was no board explaining what we really need to see. So we felt a little disappointed and just circle back from there. On the way back to Sohra we first went to Mawsmai Cave, this is a small cave compared to our very own Belum Caves in Andhra Pradesh. But as usual, the cave had its own fun. Some passages were really small and narrow. And you need to be mindful of your steps all the time as there was water. We were followed by a big Bengali group and they were very noisy which really spoiled the fun. Being a Bengali, we really feel ashamed by these large noisy tourists at times. Anyway as we came out and was looking for some biscuits and snacks from the back the car we realized we left our shoe bag at the resort. We called the resort and they informed yes it was left just out of our door and they have kept it safe. After a quick stop at the Monoliths which are on the road itself, we headed back to resort again. We did not stop at Eco-Park and the viewpoint. The drive of 16KM back and forth with the broken and twisted road cost us an hour plus. After picking up the shoe bag we headed towards Nohkalikai Waterfalls. The road is splendid, we stopped many times, we tried the most difficult form of photography aka landscape with little success. There were lots of spices, pickles and local handicrafts being sold at the viewpoint. After Nohkalikai falls we headed back to the Sohra again and stopped at Ram Krishna Mission. This is very close to the ground where my Shillong-Cherrapunji Marathon ended 2+ years back. 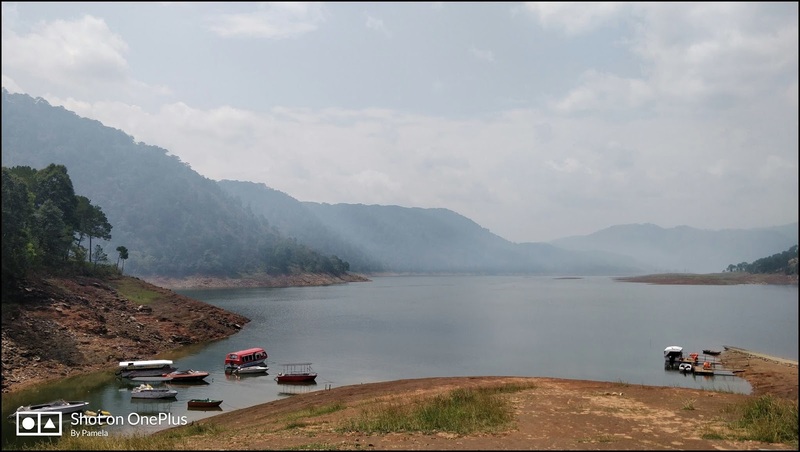 This RK Mission played a big role in Meghalaya’s modern history. There is a museum on the first floor highlighting Meghalaya and NorthEast as a whole. After RK mission we decided to head back to GHY post lunch. We stopped at the “Orange Roots” a vegetarian restaurant on the highway very crowded. The food was fresh and hot and it was clean. We spoke with our hotel owner in Kaziranga and he was saying if you really want ride a little longer from GHY and next 4/5 hours you will be there. While it sounded promising we were not ready for that long drive. 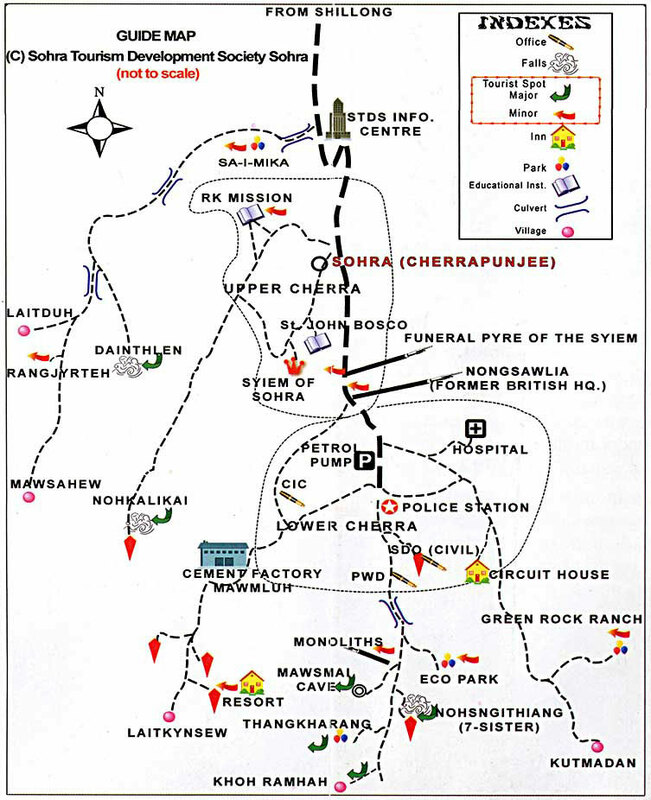 Alternately he suggested stopping near GHY where there are lots of new resorts. We found it was way cheaper to book via MakeMyTrip so we booked online and headed toward GHY. We were going to stay at Brahmaputra Jungle Resort. Lucky for us we did not face major traffic while getting out of Shillong it was snail pace but moving. It did take a long time to get out from one end to the other of Shillong, We could see the long queue of cars/bus/trucks getting towards Shillong. We did stop for few minutes at Badapani/ Umiam Lake but no great sunsets. This time we are cautious and did not miss on “JAVA VEG” for our break. We had a good break there and almost had our early dinner and headed towards our night stop. By the time we reached the resort we were really tired after so many tourist places and driving. After we finished taking a hot shower and all it started to rain. And it did rain like cats and dogs for a long time. We were lucky that we did not need any room service as there was no chance for those hotel guys to serve us in the rain. And this place is a resort the place we were staying and the dining area was quite far. We started early morning with a drive to pick-up point of our rented car. This place was in such an area where proper roads were not there….it was full of potholes and filled with rainwater from previous rains. One thing is there Guwahati inner roads are not great and even city is not that clean...full of plastics. Anyways we zoomed out from that place without much wastage of time and hit the highway. We were recommended to have breakfast on the way at Jiva resort but which we could never find nor even any hoarding-related to that. This Guwahati-Shillong road is very good because of which it hardly took 2-2.5 hrs to reach near Bada Pani (Umiam lake). Umiam lake when we reached it was a clear sky with no sun though. Then we were looking forward to boating area so that we can go near the lake. There was a sign for Umiam lake which we followed and it took us to orchid lake resort and very close to it has a garden with boating area. We decided to have a look at it first and then have breakfast. The moment we reached there, we were followed by some gujju families too...we did some photo session there. The serene lake is surrounded by thick coniferous forests. One can take a long boat ride in the lake, and adventure lovers can enjoy boating and various water-sports. There are a few islands in the lake that can be used as pit-stops if one requires a moment of rest while boating through the lake. We slowly proceed towards Orchid Lake Resort to have our breakfast. We were offered with buffet breakfast which was 300 INR for adults. 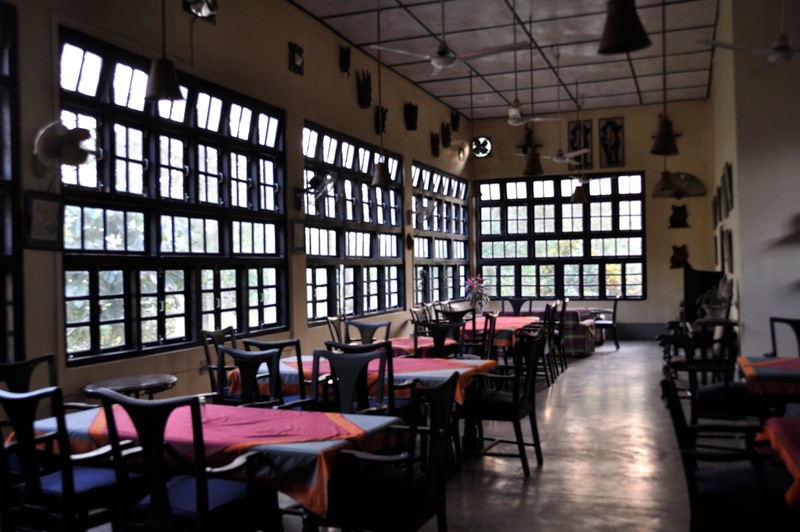 Their dining hall has a high ceiling and at the centre, a fireplace for winters or maybe night time. Dining Hall windows face towards lakefront and their garden which is nicely maintained. 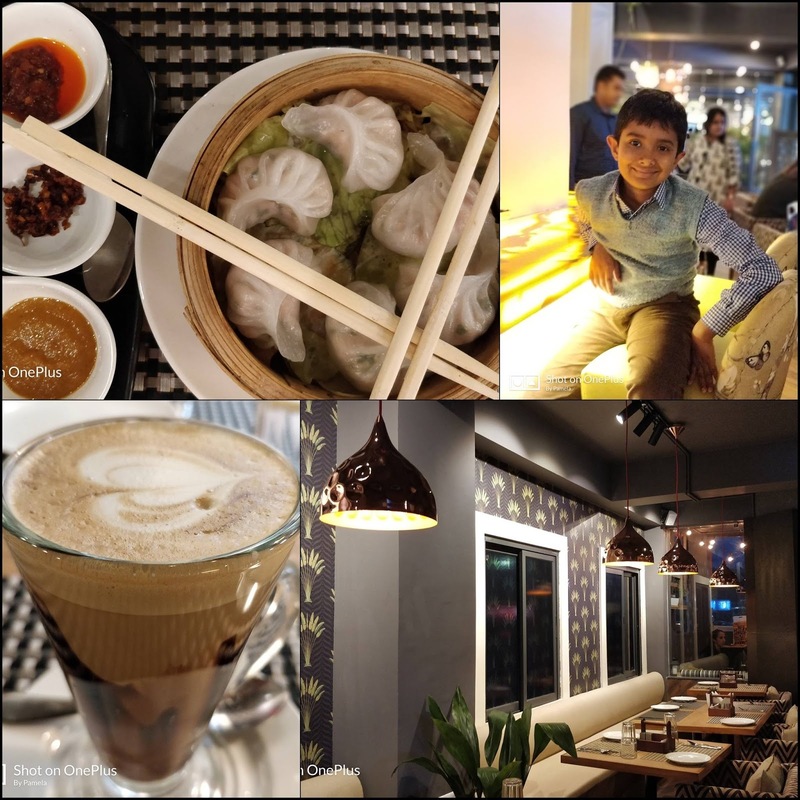 We had our breakfast which was more of brunch and then took a tour of their lake facing the garden and headed straight to Shillong road towards the city. Our Google map guided us to through numerous twists and turns of narrow lanes. On our very fast left turn we too such a narrow cut that felt almost we would topple but the traffic police smiled and signaled us to proceed ahead. it was a scary start for what time coming next as we drive thourh twisted small roads. We were looking out for Happy-Valley which made us really unhappy at one point of time that we gave up hope but somehow managed to reach army area where we stopped to ask them about the area we were looking for. Phone signal was pretty bad at that moment of time and even when it went the person on other side was not responding so we were not sure to proceed or stop there. 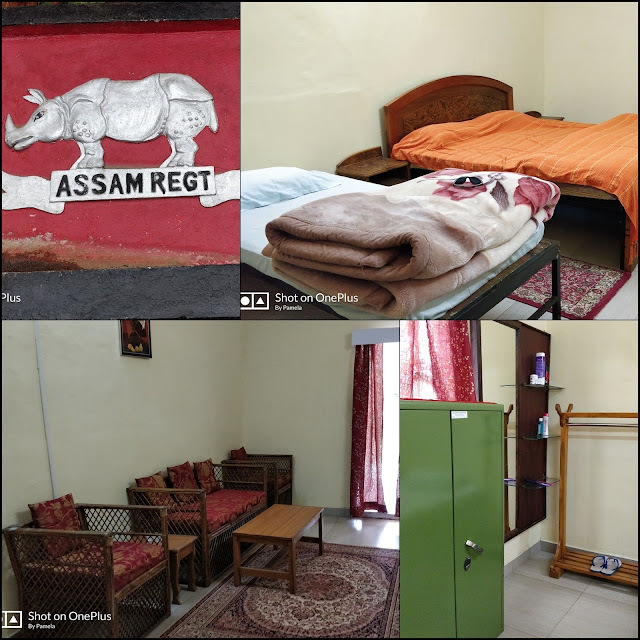 For civilians all Assam Regiments look the same, so with a lot of confusion in mind, we went down the hill where it seems there is another base camp which is having the guest room we were looking for. On reaching there, we got the phone signal we were looking forward. Then on entering our next job was to find the guest house but looks like we ended up in some official area which was deserted. After a while, we could locate someone who guided us with one jawan to our room. We were introduced to our room buddy, who was so kind. “Sir, if you have any problem or complaint, related to anything, please first contact me”. We were actually taken back to see the room with slipper, comb, razor etc. with a proper kitchen where one can cook too for themselves if needed. As the day became more & more brighter we decided to go for city tour but in meantime, our host called to know our whereabouts and our plan. As we said our plan he proposed to take his army gypsy to police bazar to avoid parking and entry through their gates which will need permission again. By the time he came personally to check if everything was fine with us or not. In the meanwhile, his gypsy came and we left for police bazaar which was as usual crowded. The driver stopped us near the square and asked us to call once done to which we agreed upon. We strolled through the street. From young to old, the woman looks dazzling, dressed in their traditional attire (jainsem), which they pair with matching cardigans and heels. The street was busy with cozy cafes, restaurants and small umbrella shops and varieties of footwear. Side road was busy with their black Maruti 800 cab (public transport). We walked towards Ward’s Lake which is closer to Governor's house. 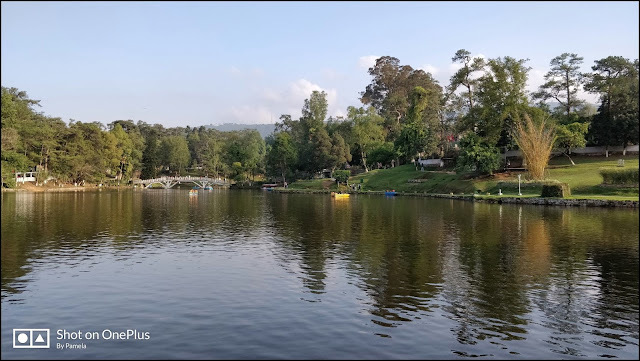 This lake also has a cafeteria and a Botanical Garden, we paid entry fees and then crossed one wooden bridge which takes to another side of the lake. It's nice to watch people boating and feeding fish. We took the privilege of perfect evening sunlight and did time pass photography all over the garden. This garden has a lot to offer in terms of floral bed, bamboo trees and cobbled pathway, nicely manicured plants. As we strolled around, we too started feeling hungry and as the sun was going further west we decided to move back to police bazar area for some light snacks. We went to Grover's eatery, which was right at the corner on the first floor of the shopping complex. 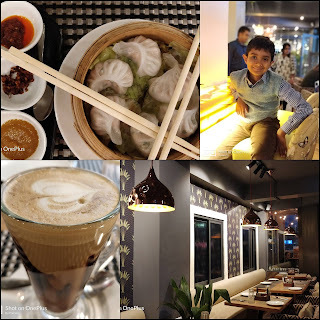 It has nice decor tastefully done but takes time for food to reach the table. After having some soups and momos we left from there as we had to go to our host's place for dinner. We had a nice evening with soothing music in the background. Mrs. Nayyar pampered us with an elaborate spread of starters and main course. It was really nice of (colonel) Mr. and Mrs.Nayyar to host us. We deeply appreciate their role and thanks them from bottom of our heart to be part of our memorable journey. 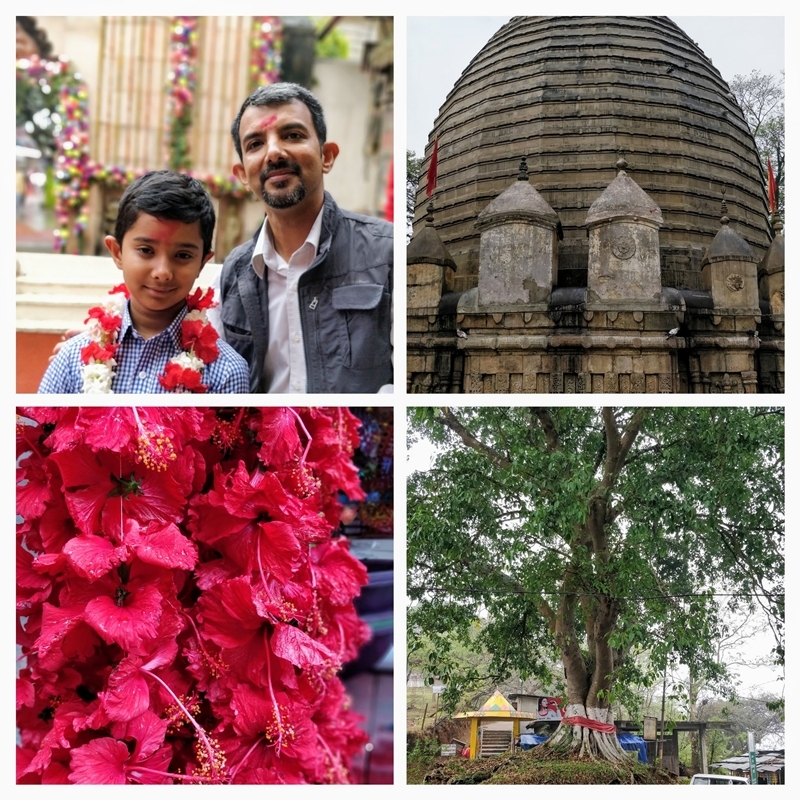 Day - 1 Maa Kamakhya here we come !!! 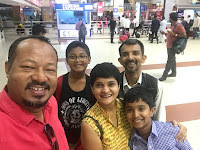 The flight to Guwahati was too early in the morning from Bangalore and we decided upon that on landing we will go directly to Kamakhya temple before starting our trip. 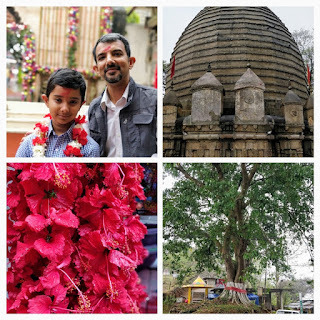 Kamakhya Temple is around 14KM from the airport and our relatives stay on the other side of the city. It makes sense to start the trip in an auspicious way and we tried to strike 2 birds with one. On D-day at the wee hours we three took shower, ensured all right measures were taken from the kitchen to balcony for a long vacation. Pre Booked airport cab was a right choice as last time we did not have so nice experience with Uber/Ola. Morning marathon is sometimes little difficult when you are on vacation but it's all fine when you are bitten by the travel bug. After security check-in we were seated in the lounge, talking and watching people from different parts of the world and suddenly a call came. 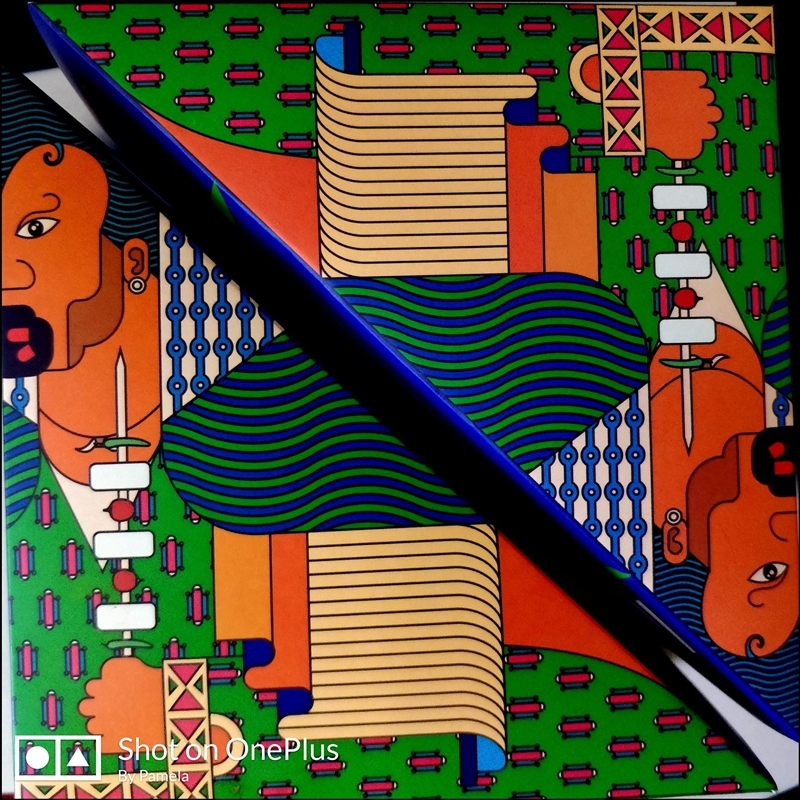 After a very short talk, I looked at Santanu in order to know whose call it was at that hour …. "Ground Staff "calling to board the plane…..quite surprised though. Were we really lost in watching people and do they call personally on the phone, as it's a silence zone...Strange but feels good. On boarding the flight we met surprisingly one of the friends and his son on the same flight who were supposed to go with us to Shillong initially but had to cancel due to last minute emergency. The father-son duo was going just for a family function. We spoke two words and moved on to our designated seat. After waking up so early, me and my son were really hungry waiting for the breakfast which we have pre-ordered. Santanu was first one and me in between dozed off but my son was completely awake whole of the time. In between, that friend of Santanu came and spoke to us for some time about his family matters and even my son went to talk to his son. On landing, we had a quick selfie and parted our ways. Santanu's cousin was waiting outside for us with his car. Maa Kamakhya Temple which is situated on Nilachal hill and is one of the oldest of the 51 Shakti Pithas. Shakti Peethas are shrines or divine places of the Mother Goddess. These are places have been blessed with the presence of divinity due to the falling of body parts of the corpse of Sati Devi, when Lord Shiva carried it and wandered in sorrow. Now out of 51, 4 are considered Adi(primary ) Shakti Pithas and Kamakhyais one of them. The main temple is a cave of indeterminate age, with rock steps leading down to the garbhagriha. According to Kalika Purana, the site marks the spot where the yoni of the Goddess fell, and the hill turned blue. The deity is represented by a representation of the yoni. The temple has various sculptures around embedded in the walls not only outside but inside also constructed during Aahom rule. From regular families to politicians, foreign tourists to sadhus and sanyasis, everyone wants to have a darshan. Its really difficult to make your way through a bustling crowd but being a cloudy day with raining lightly it was not crowded madly but enough for you to stand in a long queue. On reaching the top, we were introduced to one known panda(priest) who took care of us. We bought VIP tickets of 500 INR for both and were made to sit in one room. In between and it started to drizzle more. After waiting there for about 40 minutes we were made to join one line from where it takes to the main temple. There are three kinds of queues in Kamakhya - the ordinary one, the VIP one and lastly one for armed forces. We couldn't see much after our offering as it was raining and was getting time for temple closure for bhog (mid-day offering to Goddess). Santanu’s cousin drove us to Bhuvaneshwari temple from where you can view entire Guwahati city and river Brahmaputra on a clear day. But unfortunately, we couldn’t see much because of bad weather. We paid our homage to the temple and quickly moved from there to our relatives' house. By the time we reached was almost 3 PM, had late lunch and catch up with them after long gap about the entire family. In the evening we went to visit another relative who resides close by and had the plan to go for dinner somewhere outside. But relatives seeing us after such long time pampered us to the extent that we were almost full having no space for dinner. Then seeing the time and weather we too decided to call off the day so that next morning we can wake up early as well as fresh in order to start our journey by road with our Zoom car. “Happiness is to plan a trip to somewhere new with your loved ones”. One best friend from Santanu’s engineering college got transferred from Bangalore to Shillong last year. In his send-off party, everyone committed that they would like to visit that part of the country. The friend in question is serving our country and he promised to be our host there while we visit Shillong, the Scotland of East and British summer capital of North East. 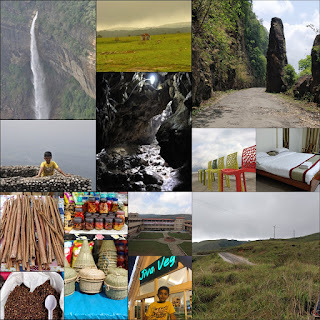 Our travel planning started way back in the month of January it was left to Santanu as he grew up in NorthEast to talk to relatives & friends, read travel blogs and come up with a rough itinerary. While initially, he wanted to travel all the way to Dibrugarh, he has fond memories of that places as he studied there between 1st and 4th standard a long long time ago. But he dropped that idea as it would have been too much of traveling. So the first cut and final looked like this. We are really thankful to Mr. Manju Barua (Wild Grass, Kaziranga) for his valuable selfless inputs. It is easy to start and end with Guwahati in NorthEast as it is well connected to rest of India with many flights and trains. To explore and have a relaxing trip we almost decided to have 2 nights halt in most places. The key challenge was rain as Kaziranga closes by end of April. 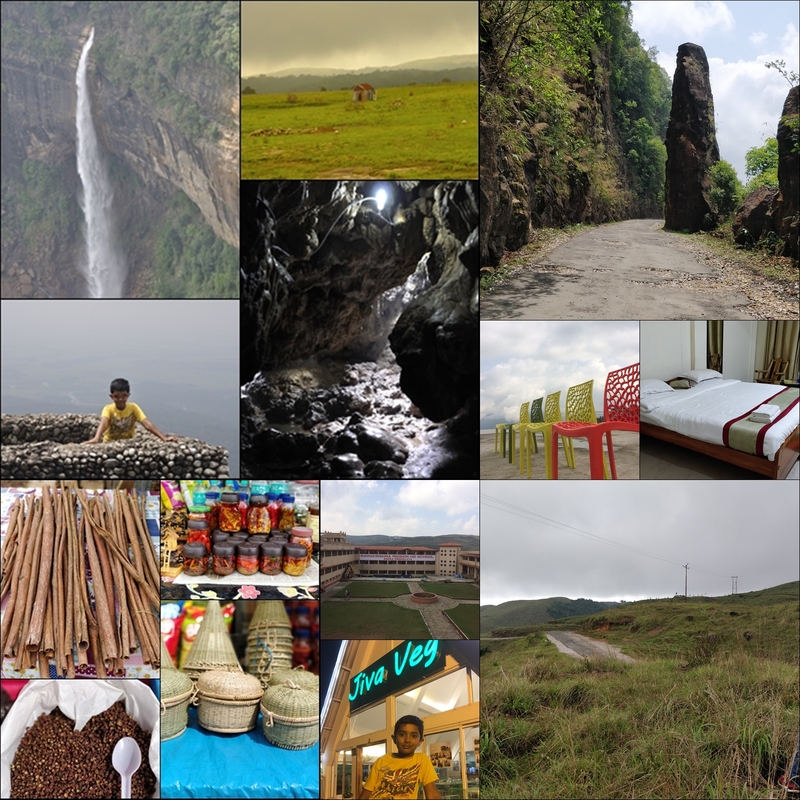 One friend said he would be joining us for Meghalaya part so we changed the first draft and opted to visit Meghalaya first and Assam second. Seeing our detail itinerary many eyebrows were raised. Few of the friends gave up saying they can not have this type of strenuous vacation. 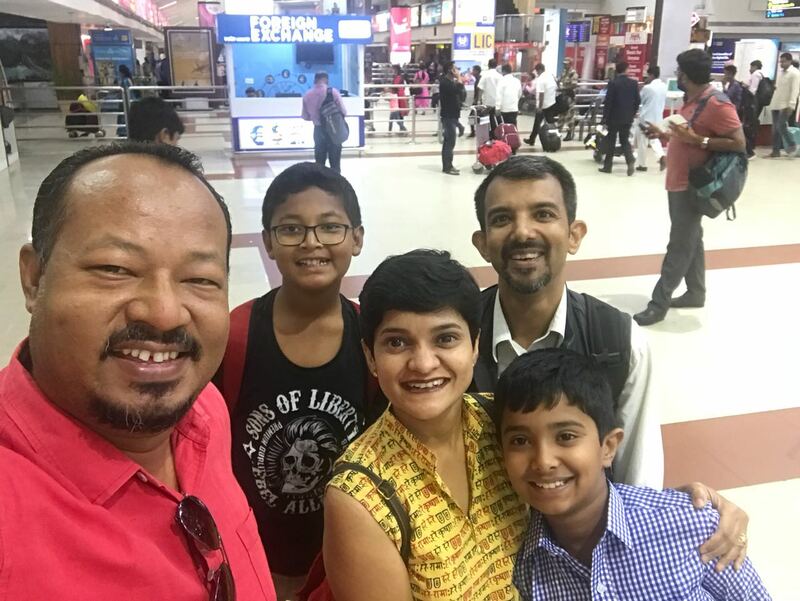 Vacation for them is getting up late...relaxing, enjoying food and not mandatorily visiting all tourist points….aargh just the opposite of our thinking style. We never gave up on our thinking as we are what we are….For us traveling means getting up early, beat the traffic or the other tourists irrespective of breakfast time, cover as many possible, eat foods from roadside small eatery or any recommended place(traditional food) as per convenience. We are so used to all this that my 10 years old also got adjusted to the same. Without complaining, he too enjoys this kind of travel. Exploring so many places means we need to have a car of our own to travel. We talked to few reliable drivers as suggested by friends and family, their rates were almost similar but was on the higher side for us as we had almost 2 weeks to cover. Moreover, each day we do not plan to travel a lot on the road, so it was more economical to self-drive. There are not many options like other major Metros but ZOOMCAR is there and we made our booking with them in advance. Also, we are used to self-drive as it gives us privacy and the complete back seat to Aarush. He really likes it that way as it gives him liberty to take a small nap in between if needed. 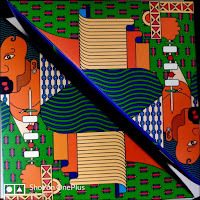 Santanu made most hotel booking well in advance, but he kept two buffer days without any prior hotel booking to accommodate any unplanned situation. 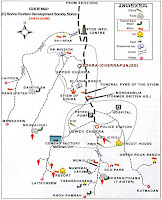 We also planned to visit to Siliguri to visit my mother-in-law for a day and Calcutta for 2 nights on our way back. While we write more on this long trip, please take few minutes off and see this wonderful official video of Assam Tourism.